One of the most exciting things I saw in Marsala at the government’s nursery vineyards were the experiments that crossed native Sicilian varieties with ancient Georgian Saperavi. Anticipating environmental change in the next 10 years, it is a forward thinking approach by the oenologists (then again, wineries take at least a generation to develop). The vineyards are part of a desire to return to the local grapes, to understand their natural expression, rather look at others for a style. Or have a style foisted on them. So much of Sicilian history has been this story. It is an island where the conquerors have left their mark, even in the wines – for example, Zibibbo is Arabic for grape. The conquerers have been Greeks, Spanish, Arabs, Italian, and in the case of Marsala, the British. For the wine lover, the market forces of the supermarket and EU have too often conquered Sicilian wines. There was not much incentive other than to make cheap wines in co-operatives. Now we saw a different story. In West Sicily, there is a plan in place for the next ten years. And what an exciting decade ahead. Before this trip, my experience with Grillo was limited to what was available in the local supermarket in the UK. A tasting of Grillo guided by Mai Tjemsland MW, from Norway, and Antonio Rallo, president of Assovini Sicilia, the association of Sicilian wine producers, and a member of the family that owns Donnafugata was a revelation: comparing and contrasting the healthy range of styles available in Western Sicily. 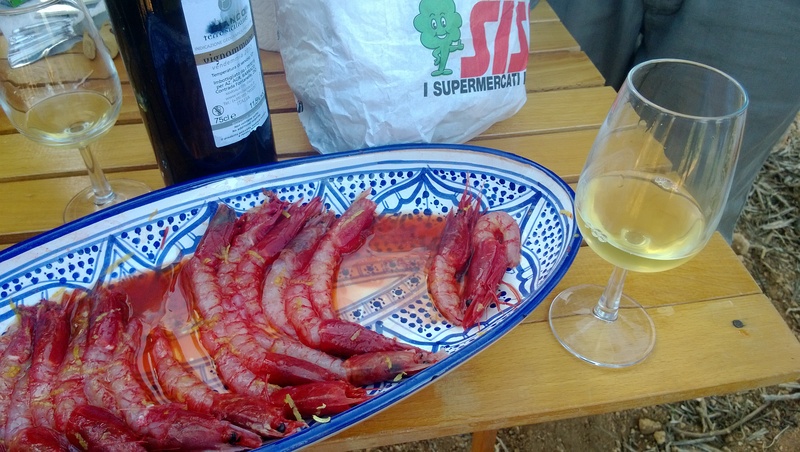 My overall thoughts – this is a diverse region with many expressions of Grillo. Does the wine reflect the winemaker more than the land? This is a hardy grape – it can deal with the salt and hot winds from Africa – with fresh and delicious acidity. This can only be Sicily! There is a touch of saltiness to the wines which gives them sapidity (or more-ishness). In fact, when I got back to London from Sicily, I happened to be at the opening of 28-50 Maddox Street’s seafood restaurant. The natural choice was to order a glass of Grillo. Perfetto. This is happy clear aromas of apple, citrus, stone fruit, touch of mineral with a ripe fruit finish. Even before tasting the wine, the name of the winery, Donnafugata, conjures images of palms and vineyards – and all the drama of the novel, The Leopard. From a rich soil between Marsala and Selemi, it has a strong stone fruit character but with a lovely core of salty minerality. The emphasis here is on freshness and lightness. Apart from the Greek temple of Segesta, the area around here is renowned for “old Sicily” co-ops. This is an example of a winery in the region bottling their own wine rather than selling off their fruit to the co-op. A heavy density on the palate with dense stone fruit character – it shows its longer time spent on lees. Now we are down south on the sea. Spicy and intense tropical fruit concentration on the mid-palate with a flush of minerality through the fruit. It is reminiscent of a grassy Sauvignon Blanc – but a lot better (especially if you are, ahem, no fan of Sauvignon Blanc). Taste the sea! A wave of fruit carried on fruity acidity that ripples through the mouth to a lemony finish. Less aromatic with pyrazine characters similar to a fresh herb garden. Elegant mineral/slate notes with a lip-smacking salty finish. From a medieval Trapani city 750 miles inland, Erice is now a DOP appellation. Solid tropical finish, dense and well made wine with a full mid palate. Sunshine solidified – well, at least to a liquid state. The best of Siciliy is slightly Baroque: the Islamic influence on the food, the architecture, the interior design… and the wines. 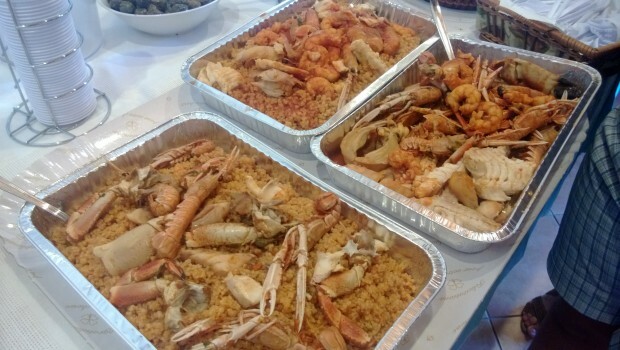 Creamy and salty at the same time – it would be perfect with the couscous concentrated with fish sauces, tomatoes and garlic. 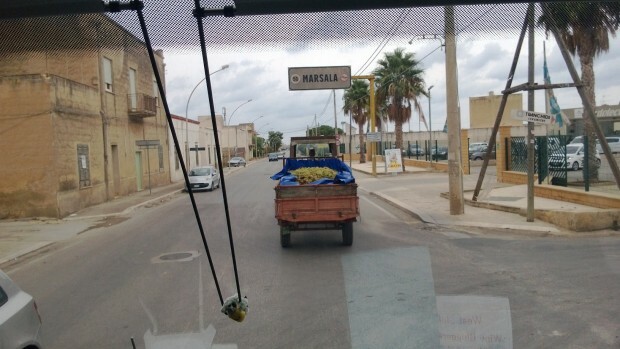 After all, Marsala is the biggest fishing port in Europe. This is a brilliant wine with seafood. An easy-going wine that I imagine on a sunny afternoon by the seaside – it has enough of your attention with light touches of fruit, softness on the palate and a strong finish, but it does not intrude on your thoughts. This is not a criticism if you want a good wine to have with friends on a sunny weekend. The most “controversial” of the wines – this is a fantastic exploration of just how far natural wines can go in Sicily. Pretty far, I’d say. The Sirocco wind is a natural cleansing agent for the vines – there is little need for chemicals so close to the sea. Barraco pushes the boat out with this wine: no temperature control, low sulphur. It reminds me a lot of traditional Marsala – this perhaps closer to the original wines before the British fortified the wine. Is this just an extension of the old ways? Honey and orange with an oxidative character – yet it still has freshness. Not filtered nor clarified. 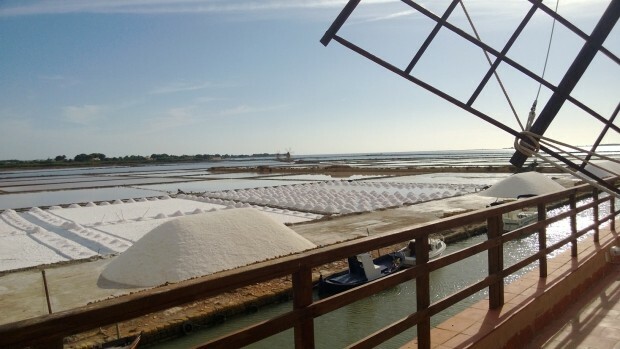 This is genuinely intriguing, especially after visiting the traditional wineries of Marsala and then Barraco’s vineyard a few yards from the ocean. In complete contrast to the natural wine by Barraco, this “Burgundian” Grillo that genuflects to Puligny Montrachet. Is this a good or bad thing? If you are after a deep sense of place, then go for the Barraco. If you are after a “serious white wine in a modern style”, then, this is for you. 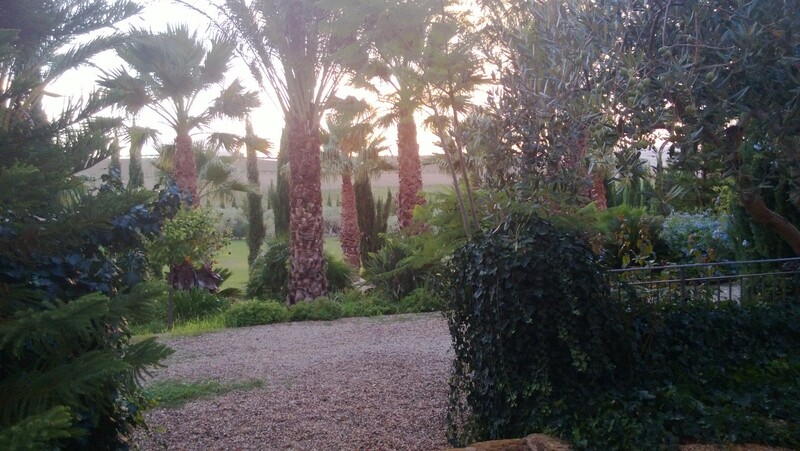 The tasting took place at IRVOS – Cantina Sperimentale “Giovanni Dalmasso” in Marsala in September 2013. The tour is sponsored and organized by Regione Siciliana – Istituto Regionale Vini e Oli, in collaboration with Fermenti Digitali / Proposta.